„Boxed Layout“ affects the content boxes in your form. 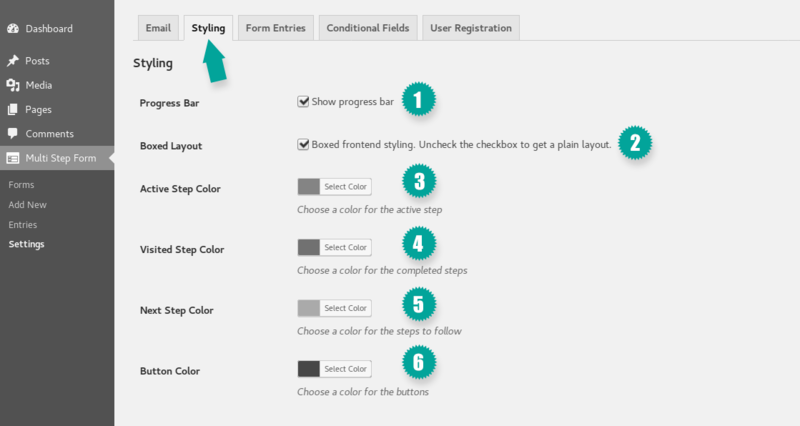 If the checkbox is checked, the content boxes are displayed with a gray background color and a colored bar on the left side. The color of the bar results from the color you select in the „Active Step Color“ field. If you uncheck the checkbox here, you get a plain layout. The color value you can set in „Visited Step Color“ is the color in the progress bar for the already completed steps in the form.